Agent Orange and other herbicides used during the Vietnam War were tested or stored elsewhere, including some military bases in the United States. 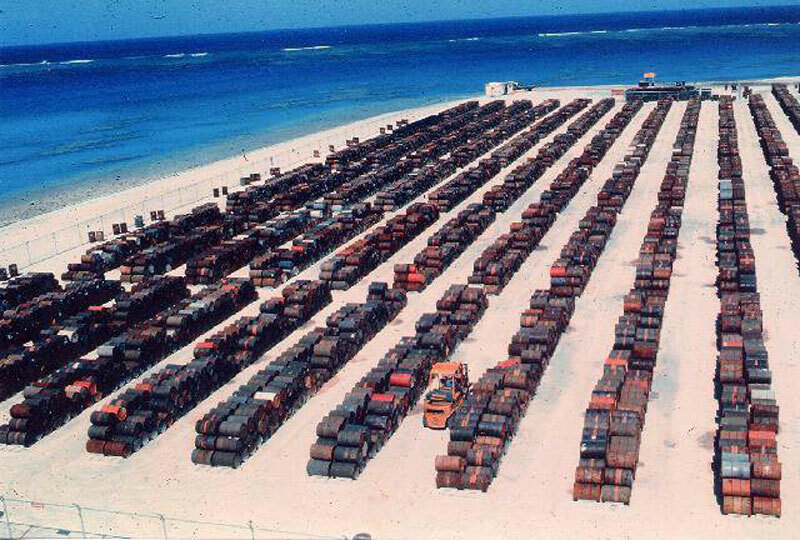 Thousands of barrels of Agent Orange are stored on Johnston Island, an atoll in the South Pacific, for six years until the last barrel is destroyed on a Dutch incineration ship in 1977. The Department of Defense has released a list of dates and locations of herbicide tests and storage. They include military bases and locations in the United States, Puerto Rico, and other places outside of the U.S. (Note: We do not contend that the DoD’s list is definitive or includes every location or installation where Agent Orange was stored, used or tested. For example, Fort McClellan (Ala.) and Okinawa are two locations where Agent Orange was stored or tested, according to many sources, despite not being on the DoD’s list. We expect there are many others similarly in dispute). The VA has acknowledged a presumptive service connection for exposure to Agent Orange for those serving in-country in Vietnam. For veterans who believe they have exposure to Agent Orange at sites on the chart below, the veteran must make the service connection when submitting the claim to the VA. The VA decides these claims on a case-by-case basis, without a presumption. Below is the list of sites, locations, bases and installations where herbicide tests were performed, or where storage of herbicide agents occurred outside of Vietnam. Camp Detrick, Md., Fields C, D, and E 1948 2,4,5-T, isopropyl phenol carbamate, LN-2426, 2,4-D. The experiments were directed mainly towards the investigation of plant inhibitors applied as sprays or to the soil in the solid form to be taken up by the roots. Yes.